Availability: Online www.shearadiance.com and select Target and Whole Foods stores. Product Description: Smoothes out hair cuticle, softens and detangles, minimizes product build-up, strengthens hair shaft and prevents breakage. Ingredients: De-ionized Water, Aloe Vera Juice, Stearamidopropyl Dimethylamine Lactate, Polyquaternium-7, Panthenol, Hydrolyzed Wheat Protein, Phenethyl Alcohol and Ethylhexylglycerin, C14-22 Alkylalcohol(Vegetable Based Emulsifier), C12-20 Alkylglucoside (Vegetable Based Emulsifier), Hydroxypropyl Starch Phosphate (Vegetable-based Conditioning Agents) , Hydroxypropyl Starch (Vegetable-based Conditioning Agents) , Vegetable Glycerin, Butryospermum Parkii (Unrefined Shea Butter), Persea Gratissima (Avocado Seed) oil, Ricinus Communis (Castor Seed) oil, Cannabis Sativa (Hemp Seed) oil, Chamomile, Nettle & Horsetail Extracts, Citric Acid. Scent: The scent is not my favorite; it smells woodsy with a hint of citrus. Consistency: Liquid. It comes in a spray bottle. 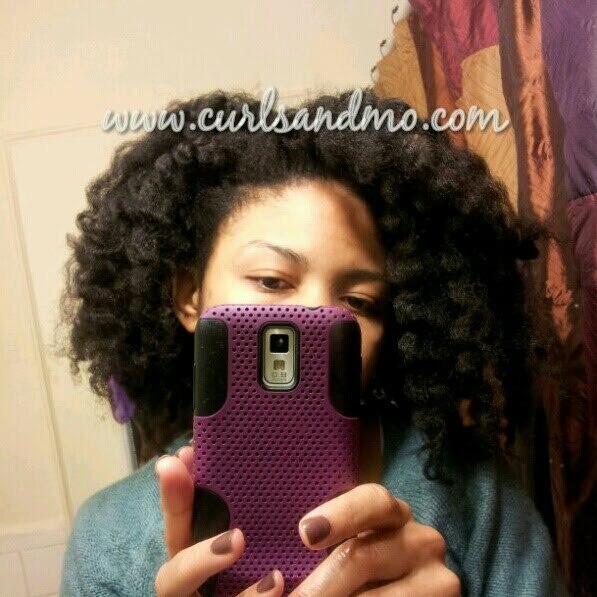 My Experience: If you follow me on instagram (@curlsandmo) then you saw my blow out and Bantu knot *attempt*. Unfortunately, I didn’t take pictures of the finished style but I did get an amazing head full of curls. I made the mistake of not using a holding product and of course that day was humid. Soooo Bantu Knot Out + Humidity = Afro (aka NOT Corporate). I had to pin my hair back when I got to work. That night I didn’t know what to do with it. I contemplated Bantu knots again then decided on two strand twists…but with what? Then I remembered this product. I was hesitant when I first saw this in my curlBOX Natural because I’ve never seen liquid hair milk before. I two strand twisted my hair and when I took them down in the morning I was IN LOVE. I still can’t believe how amazing the results were. This picture doesn’t do it any justice. Pros: This product delivers! It is moisturizing and honestly saved me from a crazy hair mishap. It also comes in a travel size so that’s convenient if you travel a lot. Cons: The scent. It’s hard on the nose – for me – but some people might like it. Final Thoughts: This is a wonderful product. Now I know what all the hype is about. I look forward to trying more products from this line. BONUS! Shea Radiance helps women in Africa. Check out more about their work in Africa here. 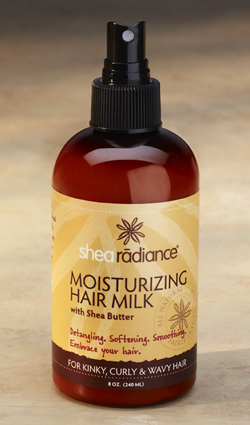 Have you tried Shea Radiance? What do you love from their line? Please share below. Availability: Online or click HERE for the Store Locator. Product Description: Spreads easily throughout hair. Gently cleanses hair and scalp. Maintains moisture. Adds more moisture and helps hair retain moisture until your next cleanse. Makes detangling a breeze. Rinses easily from hair. Helps promote a healthy environment for hair growth. Gentle enough for daily use. Safe for color-treated hair. Key Ingredients: Tangerine, Coconut Oil, Castor Oil, Saw Palmetto and Phytosterols. Ingredients: Aqueous (Water, Aqua Purificada, Purified) Extracts: Cocos Nucifera (Coconut) and Citrus Reticulata (Tangerine)¹, Cetyl Alcohol², Cetrimonium Chloride, Cetearyl Alcohol², PEG-40 Castor Oil, Stearlkonium chloride, Cocos Nucifera (Coconut) Oil², Ricinus Communis (Castor) Seed Oil¹, Phytosterols¹, Serenoa Serrulata Fruit Extract¹, Quaternium-18, Potassium Sorbate, Fragrance/Parfum, Limonene, Methylisothiazolinone. My Experience: A few months ago As I Am was offering free samples of their entire line (customers had to pay for shipping and handling). So I ordered a set of samples and I was so excited. As I Am is a brand that I’ve wanted to try since it came out. I sectioned my hair into 4 parts and applied the product to each section. I worked the product in, mostly on my scalp. I was able to detangle my hair with the product in and there was a good amount of slip. One packet was enough for my entire head. Pros: All of the product claims are completely true. This product is amazing! In addition to how great it is on my hair, the product smells really good, too. Cons: The only con is the product packaging. Personally I don’t like scooping out product, especially with wet hands. However, that’s more of an issue with product design. The product performed as promised and it was a pleasure to use! Final Thoughts: I will definitely be purchasing this product. It is perfect. If you are looking for a good moisturizing co-wash…As I Am has DEFINITELY hit the mark. 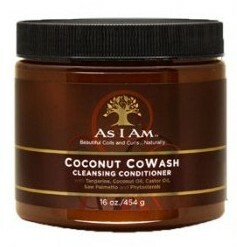 Have you tried this CoWash before or any other products from the line? I am looking forward to trying the As I Am Double Butter Rich Daily Moisturizer. Please share your experiences with this line or product below. Product Description: Doris New York has done it again! A truly unique product that offers super unique advantages! Dead Sea Mud is high in minerals and for years we have used it on our skin to exfoliate, deep clean, stimulate and provide much needed minerals. Your hair needs the same loving care. Our Mud Minerals Pack Treatment is just the right balance of vitamins, minerals, extracts and essential oils to give your hair back fabulous body, shine and moisture but most importantly remove unhealthy toxins from the scalp. Return to young fabulous hair! Best when used with Doris New York’s Reconstructor Shampoo. Excellent for ALL types of hair. My Experience: This product was in my curlBOX Natural last month (check out my unBOXing here ). While I had never heard of the company I was excited because this was my first time using a mud treatment. I separated my hair into four sections, cleansed with Ouidad Curl Co-Wash (read my review here), rinsed each section thoroughly then applied the mud treatment to each section and then pinned each up. I put on a plastic cap and covered it with my Hair Therapy Wrap (read my review here) for about 20 minutes. Pros: This product did exactly what it says it’s going to do. When I was done my scalp felt really clean and refreshed. Final Thoughts: I will definitely purchase this product when this bottle is done. It’s very cleansing and I’m sure after multiple uses the results will be even more noticeable. Have you tried Doris New York? What did you think? Product Description: This deep protein conditioning treatment strengthens the hair and prevents breakage. With just one use, you will see and feel a difference. This treatment contains an exceptional and unique complex of structurizing proteins, all of different molecular weights. These proteins penetrate deep within the hair shaft producing benefits like no single protein can. Enriched with 10 amino acids, vitamins and botanical extracts. Strengthens each hair strand and protects the hair from harsh weather. Also provides sunscreen protection. Your hair will look and feel terrific. Superb for all hair types. 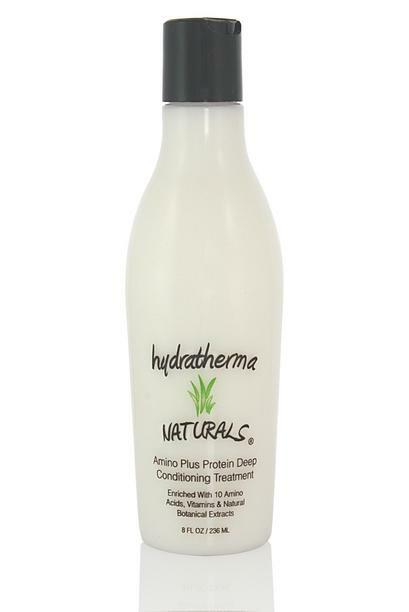 For best results, use with other Hydratherma Naturals brand products. PH balanced. Ingredients: Water/Aqua, Cetyl Alcohol, Dicetyldimonium Chloride, Stearyl Alcohol, Dimethicone, Tocopheryl Acetate, Glycerin, Hydroxyethylcellulose, Hydrolyzed Soy Protein, Panthenol, Cetrimonium Chloride, Fragrance/Parfum, Aloe Barbadensis Leaf Juice, Methyl Gluceth-10, Spirulina Maxima Extract, Silk Amino Acids, Hydrolyzed Rice Protein, Hydrolyzed Corn Protein, PEG-45M, Limonene, Retinyl Palmitate, Ascorbyl Palmitate, Phytonadione, Pyridoxine HCl, Biotin, Sodium PCA, Betaine, Sorbitol, Glycine, Alanine, Proline, Serine, Threonine, Arginine, Lysine, Glutamic Acid, Rosa Canina Fruit Extract, Panax Ginseng Extract, Centella Asiatica Extract, Triethanolamine, Citric Acid, Methylchloroisothiazolinone, Methylisothiazolinone. My Experience: I received a 2 ounce bottle of this product in my curlBOX Natural last month (click to watch my unBOXing). I separated my hair into 4 sections, cleansed with As I Am Coconut Co Wash and then applied approximately 1 ounce of the Hydratherma Naturals deep treatment throughout my entire head. I didn’t detangle completely because the website claims that it is an “awesome detangler” so I wanted to see if this was true – for me. I did not find it was great for detangling; I think it was okay. However, this product is NOT a detangler (although that would have been a plus), it is a deep conditioning treatment and as a dc it is amazing. Why it’s amazing: As we all know hair is composed of protein. Protein is composed of linear amino acid chains. Amino acids aid in building new cells and effect hair growth. When taken as a supplement or applied to [deeply] penetrate the hair shaft amino acids promote overall hair health and growth. This product is packed with TEN amino acids. Pros: This deep treatment has a lot of really good ingredients. If you are label conscious you will be pleased. After reading the label I noticed that it has a lot of the same ingredients as my favorite deep treatment when I was relaxed (rice protein and silk amino acids)…I loved that deep treatment. Cons: The product is so creamy it’s hard to get out of the bottle. LOL. Obviously that’s not a product “con” but merely a matter of convenience. I kept the cap on but placed the bottle upside down while I used it. Final Thoughts: I would definitely purchase this deep treatment. I detangle when I co-wash or condition so that’s not a concern of mine. I want a deep treatment that will make my hair healthy which is what this product does. Have you tried this product before? This brand? If so, please share below. My Experience: I LOVE these things. I received these in my Influenster Beauty Blogger VoxBox 2012 and I was really skeptical that they would work. I’ve seen them in stores before but never even picked them up because I just knew they would not work for me. I couldn’t believe they actually held ALL of my hair securely in place. There was no tension, pain or discomfort where the pins were placed and I didn’t have to readjust them once. Pros: The two that come in the pack are definitely enough, you don’t need more. Whereas to secure a bun with bobby pins I usually need at least fifteen of various sizes. I loved that I didn’t need instructions or to watch a tutorial online to use them; they were very user-friendly. I took them out of the pack and immediately inserted them with ease. Cons: I couldn’t get my hair into a full bun, it was more of a French roll but that’s not Goody’s fault. I’m sure when my hair is a little longer I will be able to. Final Thoughts: This is a wonderful product. I will definitely buy a few more sets and might even buy some as stocking stuffers. If you’re natural and your hair is at least shoulder length when stretched then you will also likely benefit from this product. 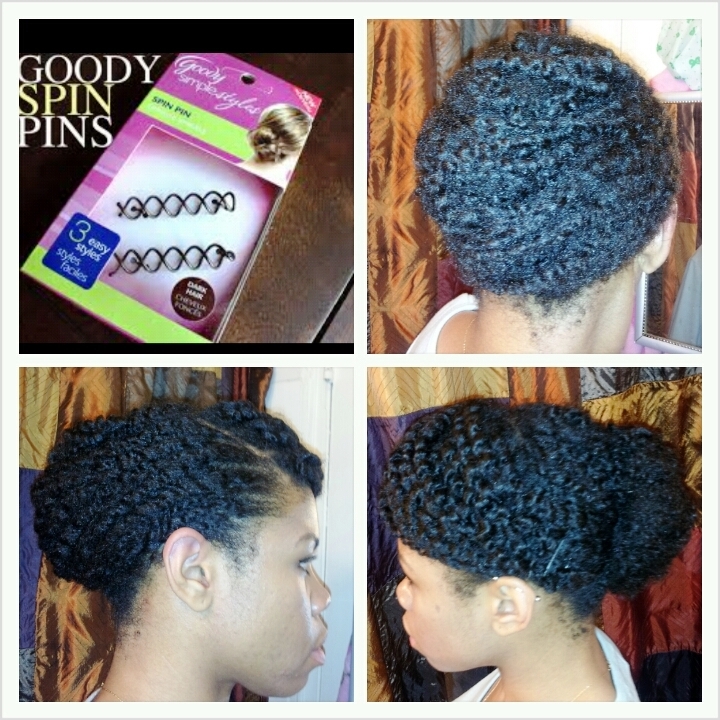 Have you tried the Goody Spin Pins? If so, what did you think? If you would like to see a tutorial on how I use them, please let me know in the comments section below. **Disclaimer: I received this product complimentary from Influenster for review. Check out my blog post here and my video here about Influenster.